Provence has inherited a rich legacy from antiquity, boasting some of the best-preserved Roman ruins in Europe. In the second century BCE, the Romans began their conquest of the region and called it “Provincia Romana,” giving us the region’s present name, “Provence.” Thanks to the Pax Romana, which was to last for several centuries, the province, later renamed “Gallia Narbonensis” (after its capital “Narbo Martius” which is present-day Narbonne, France), experienced a period of unprecedented growth. 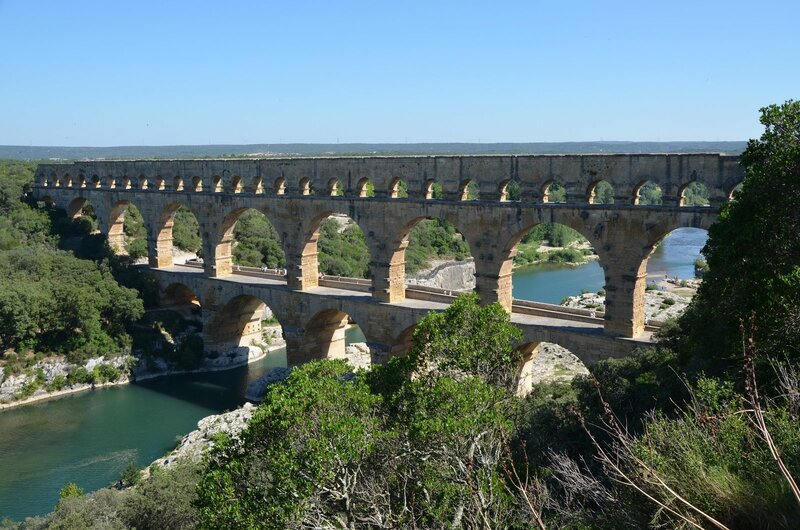 Roads, bridges, and aqueducts were built to eliminate the isolation of the conquered territories, and there are hundreds of ancient sites in Provence. Additionally, replicas of the major monuments of Rome were raised in many urban centers. Scattered throughout Provence, there are countless antique monuments that have survived the centuries, allowing us to enjoy what was once a vibrant part of the Roman Empire. On a recent trip to Provence, I followed Roman roads, crossed Roman bridges, and marveled at Roman theaters, arenas, and temples. Here is a list of 10 must-see ancient sites in Provence, France.